‘Venice can be so expensive!’ stole through my mind as I paid my bill in the tiny coffee shop just outside the main tourist zone in the city on water. For a black coffee and a tiramisu I was asked to pay 10.50 euros, about three times more than in Vicenza where I currently live. I wouldn’t have minded (it’s Venice after all), had it not been for the surly expression of the cafe’s owner, who, perhaps tired of tourists and life, was just on the brink of actually being rude. Such a shame! Coming to Venice is a one in a lifetime experience for many. A dream come true. A trip for which people actually save and look forward to enjoy. And even though bad service can be encountered anywhere in the world, when it is combined with sky-high prices for very little in return, it somehow tarnishes the whole experience. So, after some thought, I decided to compile a list of the five things you can do and enjoy for free in Venice. It comes with the recommendation that you shouldn’t shy away from spending your hard earned cash there. Do it! It is a one of a kind city with fabulous museums, experiences and shopping. Still, when you want a little breather from all that euro-burning, take your pick from the list below. 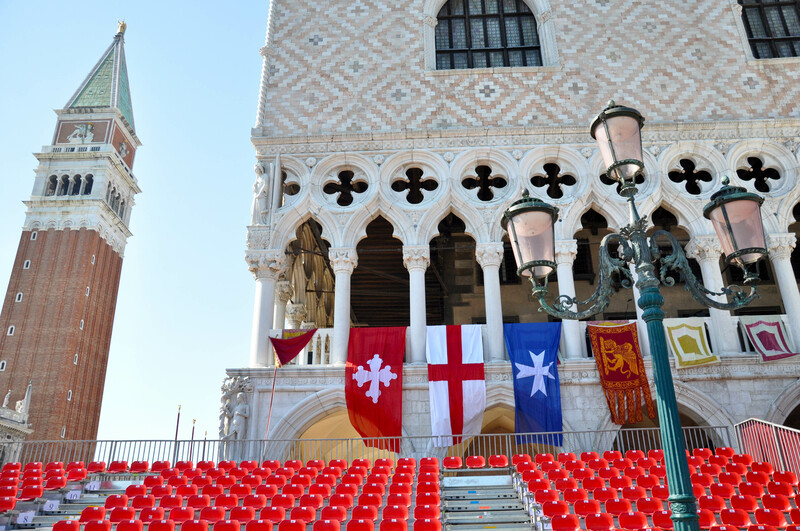 Almost every month a fabulous event is held in Venice celebrating its rich historical and cultural heritage. From Carnevale in February and the Festival of the Redeemer in July to the Historical Regatta and the Film Festival in September, the year is dotted with amazing happenings you can’t experience anywhere else in the world. Try to time your visit to Venice with one of these events to feel the city even more intensely and understand better its heritage. For example, during the weeks of the Carnival come to St. Mark’s Square to mingle with the most whimsical and creative masks and marvel at the daily Mask Parade. Then line up the streets to watch the procession of the Twelve Marias and make sure that you don’t miss the Flight of the Angel. This is when a beautiful girl dressed in a gorgeous costume dances in the air from the top of the 99 metres high Campanile down to the open-air stage of the Grand Theatre set up at St. Mark’s Square. In the first weekend of September find a good spot along the Grand Canal to watch the procession of splendid gondolas and boats and admire their crews in magnificent historical outfits. Yes, you will need to pay if you want to attend a masked ball or prefer to have a reserved seat in the stands for the water events, but the parades are otherwise free to see. And there is something so magical and unique about being in Venice among the crowd of locals and visitors whilst a procession of historical boats or magnificent masks takes place right in front of you. 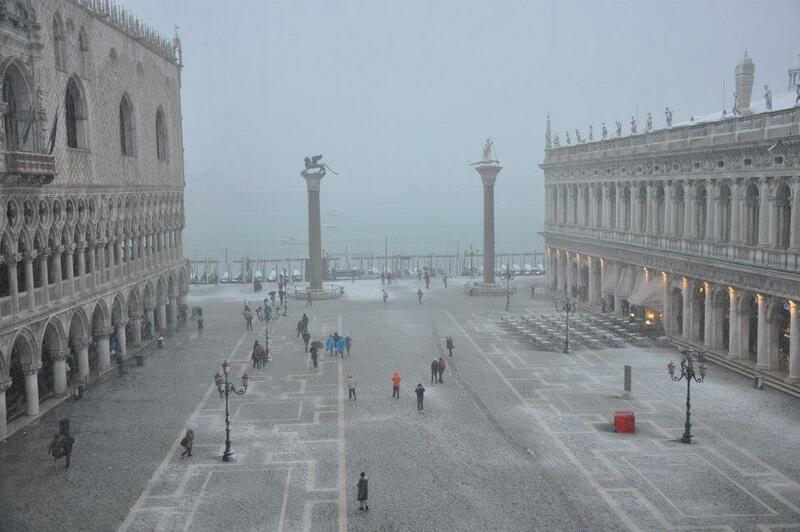 Museums in Venice can cost a pretty penny (or should this be a ‘eurocent’?!). If you know where to look though, you can see some world-class art completely free of charge. 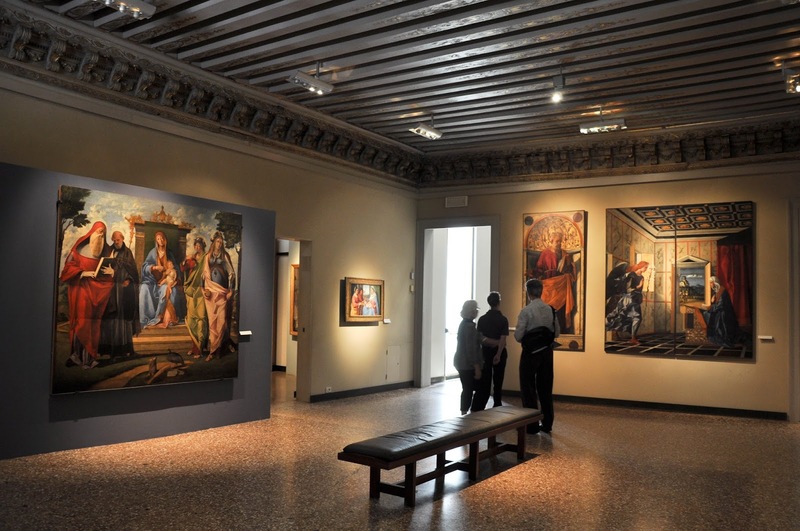 For example, a couple of days ago I mentioned on my blog that the renowned museum Gallerie Dell’Accademia is free to visit every first Sunday of the month. Even better, significant historical and religious places and monuments in Venice are free to visit every single day. My personal favourite is the lovely Music Museum which is housed in San Maurizio Church. It has a wonderful collection of music instruments, most of which I had never seen before (lyra guitar, anyone?!). It also has a great exhibit showing how violins are made plus lovely classical music pieces are played there non-stop. Other free places in Venice to put on your list are the Church I Gesuiti (where you can see paintings by Titian and Tintoretto), the iconic Church Santa Maria della Salute right at the entrance of the Grand Canal and the San Michele Cemetery which is housed on an island of its own right between Venice and Murano. The latter may sound like a strange place to aim to visit, but a quiet half an hour spent there will not only get you away from the hubbub of St. Mark’s Square, but will also make you appreciate even more how water dictates everything in Venice – from life to the final journey on a boat to be laid to rest in peace. This may sound like a silly little tip, until you have been charged 3 euros for a small bottle of water in one of Venice’s many cafes. 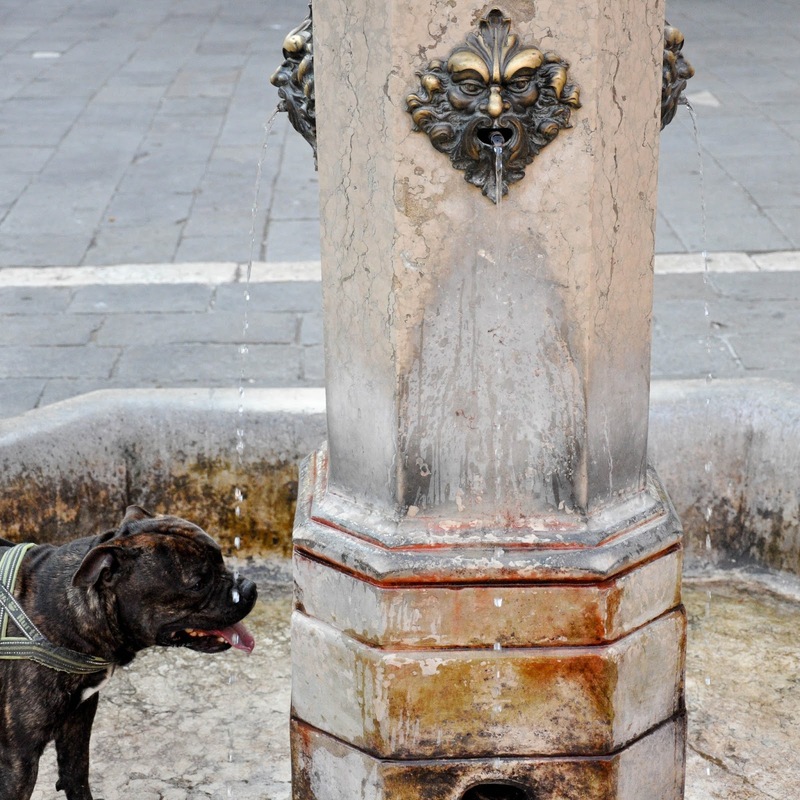 In fact, there are about 70 free water fountains dotted around the city. One of them is located right off Rialto bridge. Just come down the bridge on the Rialto market end, continue straight ahead for 30 seconds or less and you will see a small square on your right with a water fountain in the middle of it. Cup your hands and have a good long drink and don’t forget to top up your water bottle, if you have one. The water fountains are really useful during the hot summer days when you have been walking around and exploring the city for hours on end. This poor doggie can testify to this. He was absolutely parched and after drinking to his heart’s content, he sprawled himself on the ground under the cold water jet. This is a bit cheeky, but considering the luggage limitations imposed by the airlines and the prices in Venice as a whole, for most of us it is unlikely that we will be able to buy every single thing that we fall in love with in the Venetian shops. Still, don’t let this deter you from exploring them in depth. Venice has some of the best and most unique shops I have ever seen. Starting with stores specialising in local crafts and finishing with high fashion and fine jewellery shops, the city on water is a veritable Aladin’s cave for whimsical, wonderful and wacky things. 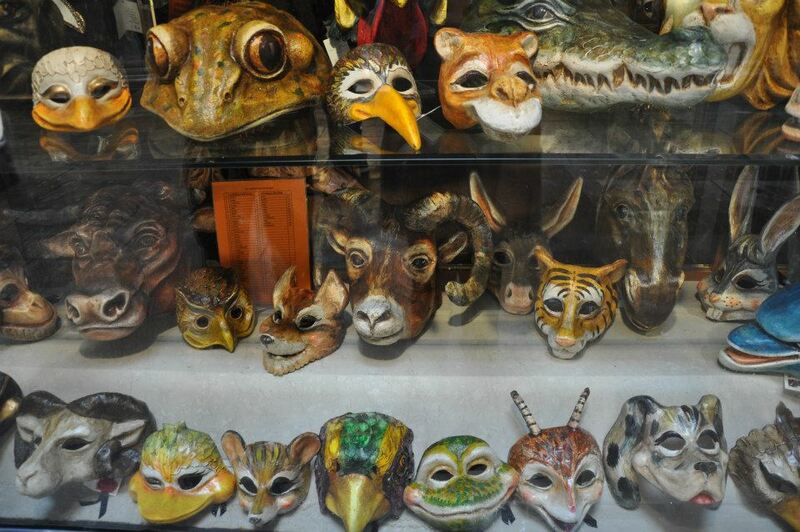 My most favourite shops are the ones where the traditional Venetian masks are made and sold. In them you can actually watch the craftsmen skilfully making fabulously ornate masks for the revived tradition of Carnival. I also love the fine jewellery shops lining the arcades of St. Mark’s Square. No, I can’t afford to shop in them, but their window displays make me swoon over some of the most original and aspirational jewellery pieces I have ever seen. Add to this the shops dedicated to handmade papers, historical costumes, Borsalino hats and original Murano glass and you have an inspiring mix to explore all day long. Venice is very manageable by foot. Just make sure that you wear your most comfortable shoes and take regular breaks in the white hot summer days. Walking is great for exploring the hidden corners of this inspiring city, which can’t be glimpsed from a vaporetto. You don’t need to have a plan or a destination in mind. Just take the first street you come across and follow it until it merges into another, opens into a square or goes over a bridge. From there, pick another little street, one of those narrow ones where you can touch the walls of the houses on its opposite sides simply by stretching out your arms. There is something so magical to get lost in Venice accidentally on purpose. 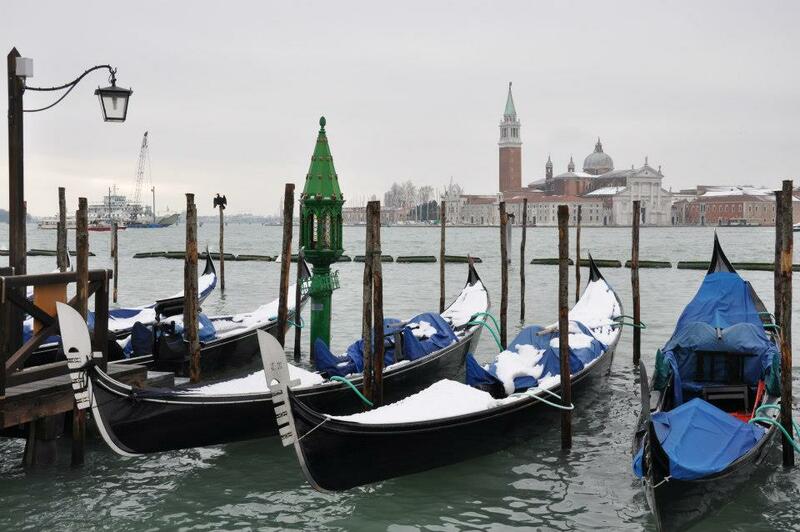 You discover little shortcuts, which a vaporetto would take much longer to circumnavigate. You come across little scenes of daily Venetian life, like a boat moored right in front of a door which leads to water. And your camera seems to have a life of its own as it can’t stop snapping every single line of freshly laundered clothes which hang over the canals. If you are walking around Venice with kids and a buggy, usually it is quite easy to either carry the buggy over the bridges or roll it up or down step by step. People are also very kind and there is always someone offering to help. I hope that my five tips above will come in handy when you are in Venice. Don’t forget to let me know what you would add to this list. Explore Venice and enjoy it! Have a wonderful time and at the end of the day be sure that every eurocent you spend there keeps this wonderful city afloat.